These messages were from a series of messages that Roy M. reed preached at 1st MBC of Bellflower. We know that you will enjoy them. Every message he preached was a masterpiece. Note: Much thanks to Jim Phillips for sharing these recordings for us all to enjoy. Dr. Roy M. Reed Brother Roy M. Reed was born near Coalgate, Oklahoma, June 17, 1926, the son of James Hershel and Roxie Reed, and passed from this life June 19, 1986. He began his public schooling in Oklahoma City, although most of it was received in Stamford, Texas. While he was still a teenager his family moved to Tulare, California, where he completed his high school work. He surrendered to the ministry at an associational meeting in Riverbank, California, in November of 1943, and was ordained a year later by the Missionary Baptist Church in Tulare, California. He received a year of Bible training in Fresno, and later enrolled in the Missionary Baptist Seminary in Little Rock, Arkansas, in 1944. While in the seminary at Little Rock he met and married Doris Scroggs. To this union were born four children: Timothy Reed, Jeanie Cash, Philip Reed, and Tammy Yarbrough, all of whom now live in southern California. 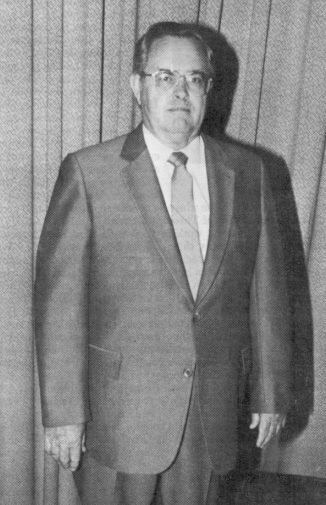 He served as pastor of Landmark Baptist Church, England, Arkansas; Holy Creek Missionary Baptist Church, Dierks, Arkansas; Pauline Baptist Church, Monticello, Arkansas; Calvary Missionary Baptist Church, Duncan, Oklahoma, and First Missionary Baptist Church of Bellflower, California, where he served for almost 24 years, going there in November of 1962. Brother Reed was active as both student and teacher in the Oklahoma Missionary Baptist Institute of Marlow, Oklahoma, where he earned his Doctor of Theology degree. He served as president of the California Missionary Baptist Institute and Seminary for almost twenty-four years. The associated work of Missionary Baptists was of prime interest to Brother Reed throughout his entire ministry. He served as moderator of the Baptist General Assembly of Oklahoma from 1956-1962. He was president of the American Baptist Association in 1976-77. He has also served as a writer of our Sunday School literature. He was clerk of the American Baptist Association from 1955 until 1976. He served as Moderator of the California Cooperative Association of Missionary Baptists in 1964 and 1965. For the last several years he has served the California association and the American Baptist Association as parliamentarian. He was also recognized as an author, having written a number of books. He was widely used as a special speaker, as an evangelist, and as a lecturer. He departed this life to be with the Lord on June 19, 1986 from his home in Bellflower. We will greatly miss this multi-talented person, especially so in the messenger meetings of the American Baptist Association. Dr. Roy M. Reed Roy M. Reed was born near Coalgate, Oklahoma, June 17, 1926, and passed from this life June 19, 1986. While he was still a teenager. his family moved to Tulare, California, where he completed his high school education. He surrendered to the ministry at an association meeting in Riverbank, California, in 1943 and was ordained a year later. After a year of Bible school training in Fresno, he enrolled in the Missionary Baptist Seminary in Little Rock, Arkansas in 1944. While in school, he met and married Doris Scroggs. To this union were born four children: Timothy, Jeanie, Philip and Tammy, all of whom now live in Southern California. He served as pastor at Landmark Baptist Church, England, Arkansas; Holly Creek Missionary Baptist Church, Dierks, Arkansas; Pauline Baptist Church, Monticello, Arkansas, Calvary Missionary Baptist Church, Duncan, Oklahoma and First Missionary Baptist Church, Bellflower, California, where he served for almost 24 years. Bro. Reed was active as both student and teacher in the Oklahoma Missionary Baptist Institute where he earned his Doctor of Theology degree before coming to Bellflower. There he served as president of the California Missionary Baptist Institute and Seminary for almost 24 years. Bro. Reed served as moderator of the Baptist General Assembly of Oklahoma from 1956-1962 and president of the American Baptist Association in 1976-77. He served as a writer on our Sunday School literature as well as clerk of the American Baptist Association from 1955 to 1976.